Would you like to be a sensational soccer player? 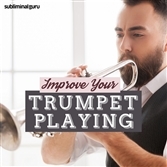 Want an effective technique to ramp up you skills from the inside out? 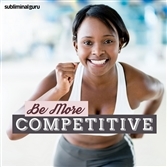 Soccer players need excellent ball control and tons of stamina. They need to cover the pitch efficiently, giving their team every chance to score, while limiting the opposition's opportunities for shots on goal. With the Improve at Soccer subliminal session, you'll ignite your natural sporting genius from within! As you listen, thousands of powerful positive affirmations will influence your thinking, helping you play with flair and finesse. You'll play instinctively, knowing exactly what to do and when to do it to give your team the advantage. You'll set up plays that improve your chances to score, putting your team in the perfect position to win more games and take more titles. 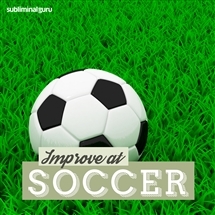 Download the Improve at Soccer subliminal audio now to take your soccer skills to astonishing new heights. I am a superb soccer player. I cover the pitch efficiently. I have excellent ball control skills. I pass and field with precision. 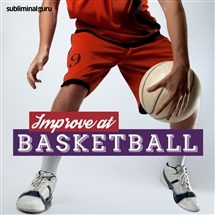 I improve every time I practice. I'm a valuable member of the soccer team. I get better at soccer every time I play. I make the most of practice sessions. I help my team win games. Player soccer is exciting and rewarding. I am a soccer superstar.